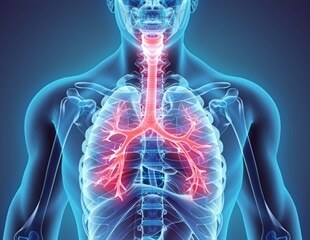 The American Thoracic Society and the Japanese Respiratory Society have published additional clinical practice guidelines regarding four specific questions related to the diagnosis of lymphangioleiomyomatosis (LAM) and management of pneumothoraces in patients with LAM. Identifying the cell of origin is crucial to understanding how a tumor develops and metastasizes and for developing targeted therapies. Researchers have shown that the immunosuppressant everolimus provides a potential new treatment option for patients with tuberous sclerosis and associated angiomyolipomas. Results from two phase III trials demonstrate significantly better skin lesion reduction with everolimus than placebo in patients with tuberous sclerosis complex. The U.S. Food and Drug Administration today approved Afinitor (everolimus) for use in combination with Aromasin (exemestane) to treat certain postmenopausal women with advanced hormone-receptor positive, HER2-negative breast cancer. Novartis Pharmaceuticals Corporation announced today that the US Food and Drug Administration (FDA) approved Afinitor (everolimus) tablets for the treatment of adult patients with kidney tumors known as renal angiomyolipomas and tuberous sclerosis complex (TSC), who do not require immediate surgery. A Phase III study of Afinitor (everolimus) tablets in patients with non-cancerous kidney tumors, or angiomyolipomas, associated with tuberous sclerosis complex (TSC) met its primary endpoint of best overall angiomyolipoma response rate, which includes reduction in kidney tumor size and absence of new tumors. Rosetta Genomics, Ltd., a leading developer and provider of microRNA-based molecular diagnostics, announces that a peer-reviewed article entitled "Accurate Molecular Classification of Renal Tumors Using MicroRNA Expression" has been published in the online version of The Journal of Molecular Diagnostics. Two independent teams of researchers have identified a role for enhanced activation of the signaling protein Notch in tumors characterized by inactivation of either the TSC1 or the TSC2 protein. As indicated by Warren Pear, at the University of Pennsylvania, Philadelphia, in an accompanying commentary, these data provide a rationale for testing whether Notch inhibitors are of benefit to those with TSC-associated tumors. Studies published in the Jan. 10 edition of the New England Journal of Medicine (NEJM) are providing clues into the treatment and diagnosis of LAM, or lymphangioleiomyomatosis, a progressive and deadly lung disease that affects women in their childbearing years. The drug sirolimus, normally used to help transplant patients fight organ rejection, may eventually be used as a less invasive treatment for a tumor called angiomyolipomata in patients with who would otherwise face surgery. Investigations in a variety of tumor types have demonstrated that circulating tumor cells are present in the peripheral blood of patients, even those with what is thought to be otherwise localized disease, and can be prognostic of outcome.